Admissions to the Ph.D. program in philosophy at the University of Florida (UF) were suspended in the wake of the 2007-2008 economic downturn. 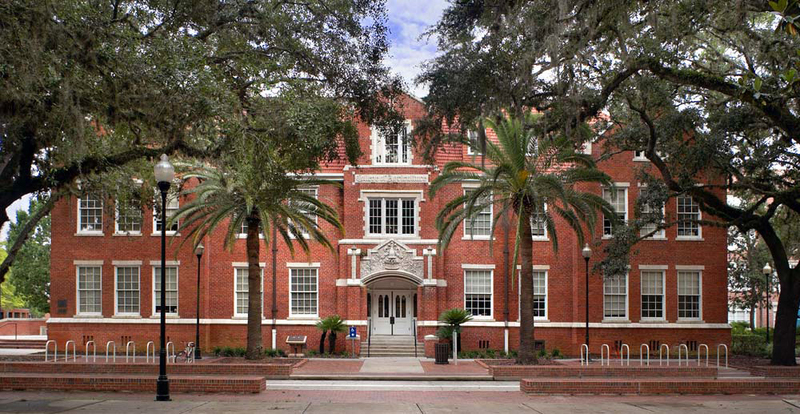 That suspension has now been lifted: the UF Department of Philosophy will once again be accepting applications for admission to its Ph.D. program. The M.A. program, which had been in operation during this period, will continue to admit students. The Department of Philosophy at the University of Florida is once again admitting students to its Ph.D. program and is currently accepting applications for AY 2018-2019. Retrenchment at the university due to the 2007-8 economic downturn had resulted in the department temporarily admitting graduates to only its M.A. program. Fortunately, Florida’s improving economy and increases in state funding to the university has enabled it to reopen admission to the Philosophy Ph.D. program. This reopening of admissions coincides with the University of Florida’s first appearance among the USN&WR top ten public universities. Information regarding the department’s graduate programs and on how to apply are available at www.phil.ufl.edu. To supplement its existing strengths in core areas of philosophy, the department is developing a graduate concentration in the ethics of technology. This new initiative is supported by the hiring of Dr. Duncan Purves in 2017 and of a second specialist in the ethics of emerging technologies in 2018.